Article II, Section 3 of the U.S. Constitution includes the so-called “faithful execution clause”. It provides that the President of the United States “shall take Care that the Laws be faithfully executed, …”. It is a Constitutional clause that has had minimal interpretation, and then mostly as a check on Presidential power usurping or ignoring constitutional laws passed by Congress. The United States is a nation of laws, but initially the judicial branch was the weakest of the three branches. The scope of “Executive Power” has been unresolved since the founding of our Republic. The Vesting Clause of Article II, Section 1 of the Constitution arguably grants the President inherent “executive” powers that are not enumerated in the Constitution. Use of executive orders by the Presidents have been wide ranging and political. President Lincoln’s Emancipation Proclamation was an Executive order. There is a long history of independent Executive branch authority in matters of foreign affairs beyond the enumerated powers shared with Congress under the Constitution or implied through the “necessary and proper clause” with respect to domestic authority. The Supreme Court reviewed some of this history in Justice Sutherland’s opinion in the 1936 case United States v. Curtiss-Wright Export Corp. (See 299 U.S. 304, 318-19). In that case under a Joint Resolution of Congress the President could order an arms embargo on exports from the U.S. to states involved in certain armed conflicts. The Bush administration used such inherent authority to detain alleged supporters of international terrorism (and for warrantless searches in the U.S. for foreign intelligence purposes). The Court never addressed the latter in the context of judicial interpretation of such executive orders under international law to which the U.S. is subject. Presidential authority even in time of war has not gone unchecked. President Truman’s attempt to seize steel mills to avert a labor strike that would have interfered with the Korean War effort was rebuffed by the Supreme Court in Youngstown Sheet and Tube Co. v. Sawyer (343 U.S. 539) (1952). The leeway granted the President to act unilaterally under the Faithful Execution clause depends on whether the President’s action or omission is ministerial in nature or discretionary. The clause has been interpreted most often in the context of ministerial acts under statutory law. President Obama’s Executive Order to not enforce the removal provisions of the Immigration and Nationality Act against certain individuals in the U.S. illegally, was overturned by the Court. Executive orders made by the President under executive discretion over foreign affairs have tended to invite less judicial review. The judicial branch tends to avoid political questions particularly if related to foreign affairs, in times of real or perceived crisis. The President’s recent Executive Order temporarily banning immigration from certain predominantly Muslim countries that were already subject to enhanced individual immigration review, could raise an expansive interpretation of the Faithful Execution clause by seeking removal of judicial scrutiny based on the President’s inherent residual authority over foreign affairs. Such unilateral Presidential power would not be limited to immigration issues. This Executive Order was unusual because Presidents revert to such powers when Congress is averse to them. Although it may be considered a mistake of a new Administration both in terms of execution and policy, it likely will be pursued either as a distraction or to expand Presidential authority where Congress has for generations ceded the field. This indication of legislative history undercuts any use of Executive Order to “make” law under the authority of the Faithful Execution clause. Constitutional construction, by activists and non-activists alike ebbs and flows. Should this this recent challenge to President Trump’s Executive Order get on to the Supreme Court’s docket when the Court has 9 members it could present an interesting case. Given the timing, it is probably unlikely. Unless there is a conflict between the Circuits, the 9th Circuit’s ruling will likely go unchallenged as it would be upheld if the Supreme Court splits. From a political and practical standpoint, it is unclear to me why this Executive Order has not been rescinded by the Trump Administration and then rewritten. Obstinacy in the face of practicality is not a virtue regardless of political persuasion. Music and food are transporting to the diaspora community.”The Maestro, the Magistrate & the Mathematician” are emigres to Scotland from Zimbabwe. The authoritarian rule of President Mugabe is a contributing factor, though none sought amnesty. The novel is overtly more social than political, particularly as succession in Zimbabwe is again in the news. Sungura is the music that reminds the Magistrate of his upper middle class life in , Zimbabwe, now that he is working as a health aide in Edinburgh. At the country club in Zimbabwe that background Sungura music “wasn’t his style, rather something in the background of the culture that could not be avoided, but after a while this peasant music with its whiny guitars and hard drums had grown on him.” The societal differences and change in economic class require adjustment. The diaspora is a great equalizer. Alfonso, a servant in Zimbabwe, is a hustler and huckster. He worked for the upper class family of the Mathematician in Zimbabwe and is under suspicion about their downfall and economic losses there. In Edinburgh, the Magistrate has to come to Alfonso for a job as a health aide, which because of need he accepts. The Mathematician is a PhD candidate in political economics and continues to live a relatively privileged life in Edinburgh, with an undercurrent of conflict with some members of the Zimbabwe community. The Maestro is a man with an unknown past who works as a stock clerk at Tesco. He is killed by love of literature. “What are books if not vessels containing minds? Conscious thoughts comes in words, and, if a book contains an idea, then it contains something of a writer’s soul. The Maestro saw that, for all his time in the flat, he’d not once been alone. He had been at the centre, playing the moderator for conversations between a thousand other minds. At the fore were those who had written the works he’d read, but, in the shadows, lay other thinkers, other minds that had influenced them. A slew of minds linked through time and space had resided in the flat with him, challenging one another, contesting, arguing, seeking a higher truth. But, these minds had not done it alone. It happened through him, with him, in him.” He divorces himself from the world, becomes homeless, and indirectly as a reader, dies for someone else’s art. Mr. Huchu in 2014 was shortlisted for the 2014 Caine Prize for African Writing. Ohio University Press selected this novel as one, from a number of African writers, in part because it is commentary about Zimbabwe and Western society. The novel has a surprising twist at the end. Macheso is currently being criticized for his support of Mugabe. I decided to read Jean Lartéguy’s story about France’s political and military response to guerilla warfare and terrorism in Indo-China and Algeria, after reading General Stanley McChrystal’s testimonial that in 1974, while at West Point, he read the novel as a primer on modern warfare. The General later had command of Joint Special Operations Command (JSOC) and of U.S. Forces in Afghanistan. JSOC’s Task Force 6-26 was credited with the death of Al-Queda leader Abu Musab al-Zarqawi. Task Force 6-26 later was accused of the use of torture in interrogation, and 34 members of the Task Force were disciplined after Abu Gharib. McChrystal was publicly outspoken. It cost him his job, when Rolling Stone magazine reported disparaging remarks, made mostly by his aides, about Vice President Biden, National Security Advisor Jones, Ambassador Eikenberry, and Special Representative for Afghanistan and Pakistan, Holbrooke. Military distaste for political masters is common, but the attitude of Special Forces reflected in this book represents and reinforces that attitude and the distaste of field officers for central command. The novel is part of the author’s trilogy on the Algerian War; The Centurions being the middle novel between The Mercenaries and The Praetorians.The protagonists of the novel are French soldiers: Major Raspéguy; Captain Glatigny; Captain Esclavier, Captain Boisfeuris, Captain Dia; Lieutenant Marindelle, Lieutenant Pinières; Lieutenant Mahmoudi; Lieutenant Lascome; Lieutenant Lescure; and Lieutenant Merle. All were captured by the Vietminh at the after the fall of Dien Bien Phu. They bond as POWs at Camp One. There they learn from their Vietminh captors about organization, temperament, and strategy of insurgent fighting. This cellular, insular, classless, flat structure, devoid of military pomp and conventional bureaucracy, is translated into a special forces paratrooper regiment. It is employed to do the dirty work of the corrupt local French and Algerian political organization, the incompetent central and conventional field military command, and the duplicitous French government that does not want to lose power because of Algeria. It uses this unconventional fighting unit to succeed at any cost, and then to destroy it. The prisoners become professional soldiers in Algeria, who disparage and ignore senior command and politicians. Their willingness to fight without rules, based on intelligence, speed and surprise is tolerated, but disliked. Through a range of interrogation techniques, that includes torture, they get necessary information and create fear in the Algerian populace who like most societies under siege will align with the temporal winners that scare them the most. Torture is not what these soldiers learned from the Vietminh. They were treated like Vietminh soldiers who lived on scarcity and were purposed to be enlightened and reeducated as Communists. The captors wanted the POWS to lose their sense of self. As professional soldiers in Algeria the concept of Geneva rights, as with Sherman’s march to the sea, did not exist. The local community was correctly assumed to be the enemy of France, as willing or unwilling suppliers and supporters of the insurgency. The soldiers were apolitical or otherwise supportive of the aspirations of the Algerians, which they believed was inevitable. Their strategy was simple. This is a novel with strong character development. The core of this special forces unit came from different classes with varied education and regional and national backgrounds. Their different and often dysfunctional family and romantic histories and relationships colored their world. At the outset, a chapter is devoted to Captain Glastigny, Lieutenant Pinières, Captain Bosifeuris, Lieutenant Mahmoudi (an Algerian), Lieutenant Marindelle, Captain Dia; and Major Raspéguy. They and the other principal characters are later developed. This is an ensemble cast where thoughts, emotions and ideas are more important than the otherwise engaging plot. It is far more than a war novel; at times romantic, and occasionally even strategically “feminist”. “How could one awaken the Moslem women, how could one make them feel that their emancipation might come from us? Certainly not by treating them to feminist lectures… At this point an idea occurred to the captain which most of his comrades found extremely odd, not to say unpleasant. On the following morning he had a number of women and young girls rounded up in the Kasbah; he filled three trucks with them and drove them off to a wash-house. There he made them scrub away at the paratroopers’ sweat-stained vests and pants. These women had been hauled off without any of their menfolk raising a finger to protect them. They thereby lost their prestige as warriors, which suddenly reduced the ancestral submission of their wives and daughters to nothing. Bent all morning over their washing, these women felt as though they were submitting to being raped over and over again by the soldiers whose garments they were purifying. The sexual advantages in the recruitment of young men to ISIS and similar causes is at the price of women who could be a weapon in counterinsurgency. Boisfeuras, the intelligence officer who rejected family wealth and connections in Indo-China and spent years in China, thought it his duty to take part in the defense of the individual. For many, Algeria was an excuse to distance their revulsion of French civilian society and family upon returning from Indo-China. For soldiers returning from war, particularly ones where civilians had no stake, this psychology remains a serious personal and societal problem. Excessive materialism, hypocrisy, bureaucracy and loss of community and the removal of the adrenaline rush of battle, are barriers to reentry. “What passed through the minds of the Roman centaurions who were left behind in Africa and who, with a few veterans, a few barbarian auxiliaries ever ready to turn traitor, tried to maintain the outposts of the Empire while the people back in Rome were sinking into Christianity, and the Caesars into debauchery? Elite military units are both the heroes and enemies of failing democracies and corrupt political institutions. Africa, Asia and the Americas are replete with examples, but developed Western nations have had similar histories and threats when economics and political polarization encourage society to look for easy alternatives with appealing narratives. The novel expresses an interesting, but questionable viewpoint about the reason for the war in Indo-China. “What does Lenin say? ‘The future of world revolution lies with the great masses of Asia.’ China is Communist, but there still remains India which is closed to China by the Himalayas, to Russia by the Pamirs and the ranges of Afghanistan. The only point of entry is through Bengal and South-East Asia. ‘Among the seething races of the Far East which can hardly be numbered, there’s only one ethnic group of any historical or political interest: the Thais. They’ve got a history, they’ve built an empire. They’re called Chans and Karens in Burma; they’re also to be found in Thailand and Laos. In the Haute Region they represent three-fifths of the population and they’re also established in Yunnan. The capital of this Thai empire is Dien Bien Phu. The book is well written and at times the prose is superior. For some the rabid dogs now prowls the streets both day and night. As humanity does not change, The Centurions will always be relevant and timely. America is a work in progress. By law this year we assured equal standing for all Americans regardless of sexual preference to marry consistent with their religious beliefs. Our first African-American President is completing his second term in office. We our now comfortable to criticize him as we have other Presidents. This is acceptance and progress, although for some it remains bigotry. It took some deaths in South Carolina, but we are poised to at last have the Confederate flag removed from government buildings. As a vestige of disunity and bias its time had come. We are starting to move on. This country offers freedom of thought, belief, race, sexual preference, speech, religion, association and opportunity. Not all Americans share or practice these beliefs but each year we inch forward to meet these aspirations. There are more inter-racial and inter-cultural marriages and single families each year. We are not a nation of pedigrees. Class exists in this country, but it is economic class. We need to chip away at this to preserve the middle class and those who aspire to it. Our strength is that we are a nation of mutts. Our heritage is a combination of the world’s heritages. We continue to build on this. This self-improvement will sustain us as a great nation. We are critical of ourselves, but this is a strength, not a weakness. Like a big dog we tolerate little dogs that bark and nip at its heals. No one should under-estimate that we are a big dog, especially those who are intolerant of beliefs other than their own. I watched a rerun of the “Seventies” this week. It was about Watergate. I had not thought about it for a long time. I lived in Washington during that period and I remember as vividly as watching Congress reluctantly put TARP in place while in Zurich. We had real statesman at that time who recognized a threat to our constitutional government and the world’s economy. During Watergate they risked their careers to preserve our “liberty in law”. I have been fortunate and unfortunate to live through and witness significant periods of our recent history. Landing on the moon; the assassinations of President Kennedy, Senator Kennedy and Martin Luther King; the Civil Rights and Vietnam War and movements; Watergate; and 9/11 which I saw unfold downtown. I am first generation. My parents lived through the Depression and WWII to give us a life and an opportunity in the U.S.. There are many parents who have done this and will continue to do this from all over the world. We need to preserve this. As I did last year, I again wish all Americans a Happy 4th of July. I particularly wish those in our armed forces, in our police departments and in our intelligence communities a safe 4th and safe return home if they are abroad. It is not easy to keep this country safe and they often make this sacrifice of themselves and their families, without notice. The locale for Fatima Bhutto’s emotionally charged novel is Mir Ali in North Waziristan in the Federally Administered Territories (“FATA”) of Pakistan. FATA and the North-West Frontier Province (“NWFP”) are called the tribal regions that lie between Pakistan and Afghanistan. I would recommend that you get a copy of Jamil Ahmad’s superb short story anthology “The Wandering Falcon” which is an oral history of Pashtun tribes in the NWFP. It is a misnomer that there are two sides to every problem. There are many sides, but for simplicity we unfortunately reduce problem-solving to zero-sum games. Ms. Bhutto’s novel is not simplistic. It traces the lives of three brothers. Aman Erum the eldest and the one who is determined to leave the history of Mir Ali’s revolt against the Pakistan government and military behind and become successful in the United States. Sikandar, the middle son, who is a doctor, tries to get by, because he and his wife Mina have already suffered. Hayat is the youngest and most radicalized. The family lives in Mir Ali, which is the second largest city in FATA. Their father fought unsuccessfully against the Pakistan government. Relative to the impoverished on the outskirts of town and in the NWFP they are middle class. As Pashtuns they have been discriminated against by the predominantly Punjabi population, but this too is misleading, as Pashtuns have a presence in Pakistan’s intelligence service. They do not support the Taliban and the more radicalized Sunni’s, as they are moderate Shi’a. The latter likely reflects the author as well. Vacuums are opportunities for radicalization. Understanding both the history between FATA and in particular North Waziristan and Pakistan; economic disparities in the country; and religious and tribal rivalries; provides a better understanding of conflict. Foreign countries have fared no better in NWFP and FATA than they have in Pashtun Afghanistan. Boundaries drawn by the British are as much as source of conflict as they are in the Middle East. Aman Erum understands these statistics and Hayat knows he has no hope. Like lines projecting upwards the boys lives bend by their weight and intertwine. The storyline is engaging and unforgiving. Ms. Bhutto does not offer easy answers in the end; there are none. The author is no stranger to tragedy and political intrigue. Her aunt was Benazir Bhutto, who she accused of murdering her father Murtaza when she was a young girl. Her and her family’s history is conveyed in her book “Songs of Blood & Sword”. The author clearly writes from what she knows. She is part of Pakistani “royalty”. She remains outspoken about Pakistan. “The Shadow of the Crescent Moon” shows another side of that moon. It is well worth reading. According to MIT’s Observatory of Economic Complexity (www. atlas.media.mit.edu) country profile of the Netherlands its top 3 imports and exports are: crude petroleum, refined petroleum and computers. Germany and Belgium-Luxembourg are the top two destinations for the Netherlands imports and exports. After these two, the Netherlands imports the most from Russia (8%), but Russia is only it eleventh export trading partner (1.5%). In contrast, the Netherlands is Russia’s top export trading partner (9.2%) and the Netherlands its 13th import trading partner (2.3%). Russia’s three principal exports are crude petroleum (39%) and refined petroleum (15%) and petroleum gas (9.2%). Russia’s 4th largest export partner after China (8.1%) and Germany (6.5%), is the Ukraine (5.7%). Belarus is close behind at (5.4%), from whom it imports (4.4%). Russia is the 2nd largest exporter of crude petroleum after Saudi Arabia. The Netherlands is Europe’s second largest producer of natural gas, and is self-sufficient for residential heating at least through 2020. Nonetheless, it has substantial imports of natural gas with about 40% of the total volume imported being used domestically. Natural gas is principally imported from Norway, but 11% is from Russia. Its oil stock reserves from net imports are 90 days (mostly stored in Germany). Industry (40%) and transport (42%) account for about 80% of oil used in the Netherlands (see http://www.iea.org 2014 country profile), with transformation (mostly oil refineries) accounting for about 12%. Petrochemical use (naphtha) is the principal industry use, with diesel being the principal transport use. Residual oil mostly goes to fueling international shipping. The petrochemical industry drives the Netherlands imports from Russia in the form of fuel oil and naphtha. The Netherlands through Rotterdam (and inland bunkering) and regional pipelines (to Germany and Belgium) transits oil from imports at about four times the volume of its domestic need. It also is a major regional supplier of refined petroleum, with about 63% of refinery production being exported (principally gas/ diesel oil and naphtha). The Netherlands is one of the most fossil fuel dependent countries in Europe (95%), but much of this is transitional as it is a regional hub, principally for Germany, Belgium and Luxembourg. It has a substantial trade imbalance with Russia on a gross basis. Outside of transport, its petrochemical industry, accounts for about 20% of domestic consumption and is 15% of all of Europe’s petrochemical activities. As with crude oil, refined petroleum will gravitate to supply of China. This co-dependency will be accentuated in the Russia-China relationship, as pipelines come online and Arctic transport becomes more feasible. The co-dependency is heavily weighed in favor of China, as Russia’s economy is strictly commodity based. In the interim, political upheavals that translate into higher oil prices is beneficial to Russia and oligarchs connected to Mr. Putin. With U.S. energy independence, in the longer term, this will not benefit China. Any European disruptions with Russia, that fosters U.S. exports of its excess supplies to Europe, and deplete its reserves is also politically beneficial to Russia and China. The Netherlands, like other EU member countries are targeting more renewable fuel usage beginning about 2020. Biomass alternatives, may reduce some petrochemical usage, but substation of less fossil fuel dependent transport will be transformative. China too is moving in this direction, but has a much longer curve than the EU. From a political leverage standpoint, the key to bringing Russia to heal, is a reduction in oil price. Sanctions by the U.S. are only playing into China’s hands of having the Yuan become the world’s currency. Short-term switching is not meaningfully feasible for the Dutch, but they need to move more aggressively to implement plans to enable this. To honor their citizens lost in the downing of the Malaysian airline, they should be leveraging their economic relations with Russia. It might also enable them to correct its trade imbalance with Russia at the same time. Their citizens cannot be hurt by any supply reduction, because residential usage is self-sufficient through natural gas. Its leaders just seem to be lacking the will power to use their historic relationship with Russia, and the Netherlands economic power against it. Mr. Putin’s reluctance to admit the error is peculiar, given that it is remote that Russian military, either directly or indirectly would have ordered the downing of a civilian plane, particularly connected with its major trading partner. It is perhaps a lesson learned about weapons being supplied, and a known cautionary tale for all major powers. The more unresticted access to the site is obstructed; expert review of the aircraft and recovery delayed; and prosecution thwarted; the more unnecessary damage will be done to Russia’s trading relations with its necessary economic partners. Russia playing the German 1930s card is not in its mid-term nor long-term interest. We recently passed the 100th anniversary of the beginning of WWI. This war and its aftermath continues to shape economics and international affairs. “Lords of Finance” by Liaquat Ahamed, is an extraordinary book. Published in 2009, it was a Financial Times/Goldman Sachs Business Book of the Year. It is part biography, part history, with easy to understand coverage of monetary policy. For those intimidated by business, finance or economics, or who find any of these subjects boring, please consider reading this book anyway. It is very readable and the personalities of the central bankers between WWI and the Great Depression at times seem as if they are caricatures. Mr. Ahamed is not a novice. He is a professional investment manager. He worked at the World Bank, and is remains an adviser to a number of hedge funds. Presently sits on the Board of an insurer that is in the midst of a rare hostile takeover. The subtitle of the book is “The Bankers Who Broke the World.” His theme is that the Great Depression arose from antiquated monetary policies imposed upon the world by the principal central bankers of the period: Montagu Norman, Governor of the Bank of England; Benjamin Strong of the New York Federal Reserve Bank; Hjalmar Schacht of the Reichsbank; and Emile Moreau of the Banque de France. It was a period of massive unemployment and debt due to reparations and war financing. It was also a period that saw the end of the gold standard and a U.S. power play that caused the transition of world currency from the pound sterling to the U.S. dollar. The personalities of these bankers, the internal politics and cultural biases of their governments, and the absence of transparency in which they operated shaped the outcome that economically nearly broke the world economy. There were two intriguing revelations for me. The lesser one is that President Hoover was in part unjustly maligned, as Roosevelt adopted some of the policies he wished to have adopted. Coolidge’s ignorance was more to blame for the Depression. The greater revelation is reflected in the handling of the so-called Great Recession of 2008. Chairman Bernanke is an acknowledged expert on the Great Depression. This is reflected in the Feds and Treasury’s adoption of Keynesian monetary policy through TARP after the banking fiasco of 2008. Central Bankers in the post WWI period preferred a monetary policy which tighten credit. This proved to be a mistake and one which some believe was repeated by the size of TARP being too small to jump-start the U.S. economy. The omission of Bernanke and both Secretaries of the Treasury’s is that when credit was loosened during the Depression it came in the form of cheap credit for the banks without strings attached. As with TARP banks were not required to lend the funds to businesses who could then help restore employment. This policy failure was recognized after the Depression and yet Bernanke and the Treasury repeated it in 2008 with the same result. Banks used cheap Federal funds to restore and improve their balance sheet, even after their raised Tier I capital requirements were met and they insulated themselves from Euro weakness. The U.S. government was not innocent either, as it programs to address housing foreclosures avoided principal modifications to both save Fannie Mae and Freddie Mac and to again support bank balance sheets. Real estate speculators are repeating the benefit of this policy at the expense of those homeowners (some of whom, also were not innocent). I would really like Mr Ahmed to write a sequel to this book, reviewing what transpired since 2008 in light of the failure of monetary policy before and after the Depression. Given that this book was published in 2009 he could only briefly comment about this. Another subject worth exploring in more depth is the transition of the world currency from one nation to another. He briefly addresses the Bretton Woods Conference, with some interesting anecdotes about the bankers’ personalities. Given that a currency war is ongoing between the U.S. and China it is a subject that merits considerable analysis. Had the U.S. dollar not been the world’s currency in 2008 the U.S. economy would likely have folded like Greece. Economic and political power flows from having the world’s currency and both the U.S. and China know it. To understand international affairs it is essential to follow the money. This book is both fascinating and entertaining. I highly recommend it. If you go to the Polish Consulate in New York City there is a statue of a man sitting on a bench. Other cities have similar statutes. The statute is as gaunt as Jan Karski was in life. I see him, Old World, patrician in physical demeanor, ramrod erect, sometimes smoking a cigarette holding in the old fashion Eastern European manner. 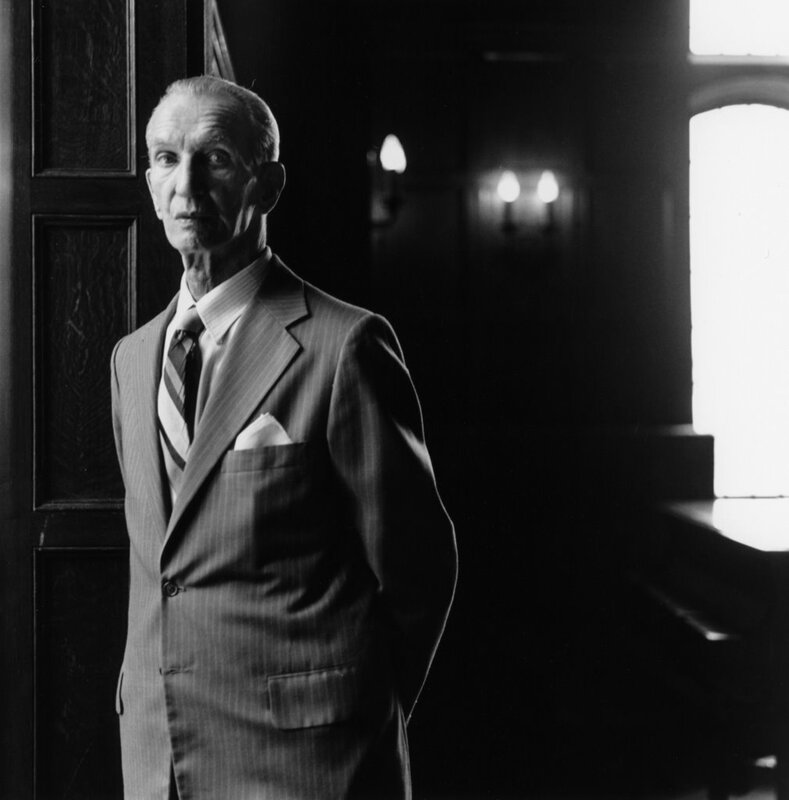 Jan Karski: a name de guerre. The Christian name was Jan Kozielewski. A Polish diplomat by training. By circumstance a prisoner turned courier. A messenger between the Polish Underground and the Polish Government in Exile and its Western allies during World War II. I knew this man. I never knew him. I visualize him from memory. I hear his high-pitched, snorted laugh. I remember nothing about what he said. The laugh lingered. It always made me feel that this man had been abused. He was my professor in college. The laugh was a source of ridicule among his students. He taught was one of those comparative “something” classes that you were required to take at Georgetown’s School of Foreign Service. He never spoke about himself. Never about the War. It was only after leaving Georgetown that I learned who he was. A man who bore witness. “The Messenger” is an odd book. As a biography it reviews Mr. Karski’s participation in the film “Shoah”. It reveals that only a few years after I graduated Mr. Karski was coaxed to participate in the film. To tell his story again. His silence since the War was not reserved to his students. He chosed to stay quiet after the War. The second part of the biography, is a summary of Mr. Karski’s memoir “Story of a Secret State” that was published in 1944. It was a best seller. “Thou shalt not be a perpetrator. The copy in part says, “Romania is tired of killing Jews. It has killed one hundred thousand of them in two years. Romania will now give Jews away for practically nothing”. The text notes that American politicians have done nothing and that Romania upon payment will deliver the 70,000 Jews in concentration camps to Palestine. I figure this is dramatic license and research the purported event. It is not fiction. Romania had approached the U.S. State Department in advance of publication, but the State Department did not choose to do anything. Karski had already met with the British in 1942 and met with Roosevelt in July of 1943. What was transpiring was known. The ad was published by Ben Hecht, a non-religious Jew, turned Irgun supported and anti-Zionist, to dramatize the plight of European Jews. The American Jewish Congress (and similarly The Jewish Agency in London) responded at the time “The American Jewish Congress, dealing with the matter in conjunction with recognized Jewish organizations, wishes to state that no confirmation has been received regarding the alleged offer of the Romanian Government to allow 70,000 Jews to leave Romania. Therefore no collection of funds would seem justified.” Who knew what and when remains in question, although Mr. Hecht, in his book “Perfidy” claimed complicity of established Jewish organizations in intentional inaction. We are all bystanders to atrocities. It is not that we don’t care, it is self-preservation and the absence of shared condition. On a micro-level it occurs in our daily lives. On a macro-level, nations find political reasons to avoid relief. The Khmer Rouge, Rwanda, recently Syria- the messenger is now real-time electronic, but the result continues to be Jan Karski’s nightmare. This book is not as good as its subject.